As alumni, going “outward bound” means more than just taking a course. From the very first step on course to your first step after course, you will forever be heading to uncharted territories. Lucky for you, the skills you learned from your Outward Bound course have made you more equipped for whatever adventures lie ahead. Here we speak with Daniel Lilienthal, an NCOBS alum who knows just what it means to go Outward Bound. >Share your story with us, contact smorrison@ncobs.org. When did you take your course, what was the experience like? I had just graduated from college, and I knew I wanted to pursue work in outdoor education, so this was the perfect experience to get me started. My course was in the fall of 2003, a 45-day Outdoor Leader course based out of Table Rock in Western North Carolina. We did backpacking, white water canoeing, rock climbing, spent time on the ropes course, and built a tyrolean traverse, which was a definite highlight. This was combined with training and discussions on working as an outdoor educator, group dynamics, lessons on the history of Outward Bound, a 10-day WFR course, solo, service day, final challenge run, and a final expedition designed and led by our group. I loved sleeping outside every night, hiking with all my gear, getting to know the others on the course and the instructors who were great. As a direct result of doing this course, I was able to secure a position as an instructor at Outward Bound South Africa, which was an incredible experience, growing from a student to an instructor, working in a beautiful location with incredible staff and students, and getting an opportunity to deepen my connections to Outward Bound. This was the beginning of what has turned into a lifelong connection and passion for all things Outward Bound. What are the lessons you learned on course that are relevant in your life today? My Outward Bound course exposed me to a whole new way of living, and a different way of thinking about and education and personal development. It introduced me to the field of outdoor education as a career, and the rich and expansive history of Outward Bound as a leader in that field. It increased my self-confidence, taught me to be a better leader, and helped me reflect on what I wanted to get out of life, including what direction to go in my career. 1. Embrace opportunities for solitude and reflection – My solo offered me the opportunity to recharge, to examine my direction in life and set goals for my future. Years later, I continue to seek out these opportunities. I may grab a journal and a comfy chair in my apartment, or go for a walk along the beach. Time alone helps energize me for time around friends and colleagues, and helps me refocus on my goals. I’ll sometimes even reach for an Outward Bound quote book for inspiration. 2. Seek opportunities to grow as a leader – On our course we had opportunities to serve as “leader of the day.” We would gather information from our instructors, and then would be responsible for moving the group through morning routines, going through navigation for the day, confirming who was cooking which meals, and generally staying on top of the morale of the group. Then, we would debrief and receive feedback at the end of the day. In my personal and professional life, I continue to take on similar leadership roles by taking initiative, maintaining a positive attitude, and seeking feedback from those around me. 3. Don’t hike in cotton – This was one of many skills and tips related to safe and comfortable travel in the outdoors. Prior to my course, I purchased a set of non-cotton synthetic clothing that would keep me warm when wet, and comfortable when hot. I didn’t pack much, but what I did was appropriate for the environment. As I continue to spend time in the outdoors, this is one lesson that has stuck with me over the years. 4. Find your tribe – Outward Bound connected me with people who seek adventure, personal development, and share a love for the outdoors. In my years since Outward Bound, I have continued to seek out a similar community of people. I’ve been fortunate to find some of those people within the alumni community, and they have helped push me to work towards my various goals in life. 5. Outward Bound is more than just a course – It is a philosophy of education and life, a movement for a better world, and an organization leading the way in many respects. 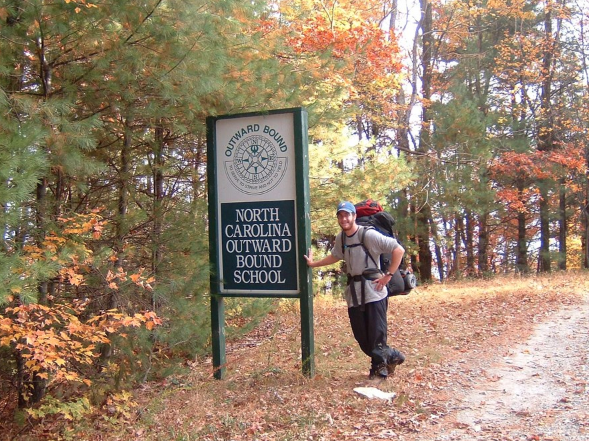 In learning the history of Outward Bound and its founder Kurt Hahn, I soon became aware of the wide range of schools and programs that exist across the US, and internationally, and the research and intellectual weight that goes into these schools. Perhaps more than anything, this knowledge is what keeps me connected to and inspired by Outward Bound after so many years. What advice do you have for new alumni on keeping the flame alive? I have interpreted this saying to mean that while Outward Bound can inspire, what happens after your course is largely up to you, as a graduate of Outward Bound. The challenge is, how do we do this? How do we stay connected to and inspired by Outward Bound long after our course has ended? For me, the answer has been to find and build a community that will keep me focused on my goals, and remind me of some of the personal discoveries I have made. A few years after my course, while living in New York City, I called Outward Bound asking how I could connect with other alumni in my area. At the time, there was no formal regional group or chapter, so after a number of conversations over a series of months, I was given the opportunity to take the lead in building a formal alumni community in NYC. With the help of OBUSA staff, I organized a group dinner at a local pizzeria that was attended by around ten other alumni. It was amazing to be back around Outward Bound, to hear everyone’s stories of why they went on course, what they experienced on course, and how they have tried to keep the spark alive in their lives in the time since their course. Over the course of the next few years, we formed our own “crew” of alumni, organizing more than a dozen events including local hikes, attending viewings of the Banff Mountain Film Festival, rock climbing, holiday socials, and service events. 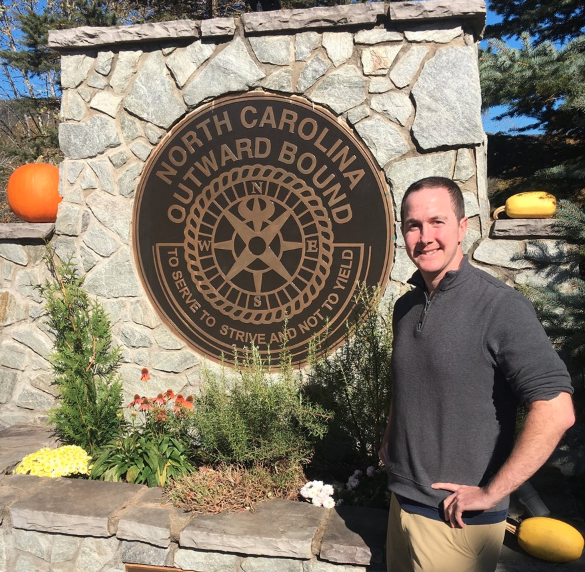 I grew close to a number of alumni, staff, and others with connections to Outward Bound over those years, and in those relationships found the community I was looking for. Now, fifteen years after my NCOBS course, these relationships, and others I have developed, keep me connected to and inspired by what Outward Bound did for me on course. This is what keeps the flame alive for me. So to new alumni, I’d say, do what you need to do to find and build the Outward Bound community you want to be a part of. Call your school, go online, take the initiative, and keep pushing till you find what you are looking for. This, I believe, is the key to keeping the spark alive, even years after you’ve finished your course. Dan is an alum of a 45-day NCOBS course. He has worked at OB South Africa, along with Outward Bound schools in Baltimore and Philadelphia, and was a classroom teacher at an EL School in New York City for three years. He has visited Outward Bound schools in the UK, New Zealand, and Canada and, as an alumnus, went on an 8-day dogsledding course at the Voyageur Outward Bound School. He currently lives and works in Cambridge, MA, where he enjoys hiking, cycling, swimming, and skiing throughout New England. Thanks dan for your insights and sharing your experience. I worked at NCOBS for 10 years and felt I grew as much as my students. The bonus was meeting my wife (who also worked as an instructor). I admire your desire (and success) at keeping the flame alive and connecting with other alums. Losing that OB social network been the hard part for us, as we have moved to NZ. Thank you for this! I am also a NCOBS alumni, 2010. Completed a 21-day backpacking and white-water canoeing course through the Pisgah National forest. Eight years on, College and my first “professional job” behind me, I still think back to the nights under the stars that you so fondly recounted. Reading your piece has brought up some great memories.